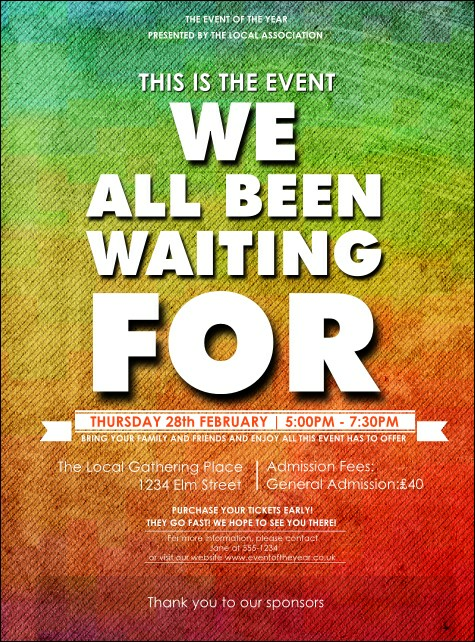 Start your event off in good cheer and distribute the Rainbow Flyer in advance. Blues fade into green, yellow, orange, and red, while event details stand out in white on this colourful background. Enter your information in the template below to get started! Find the right colour for every event at UK Ticket Printing.